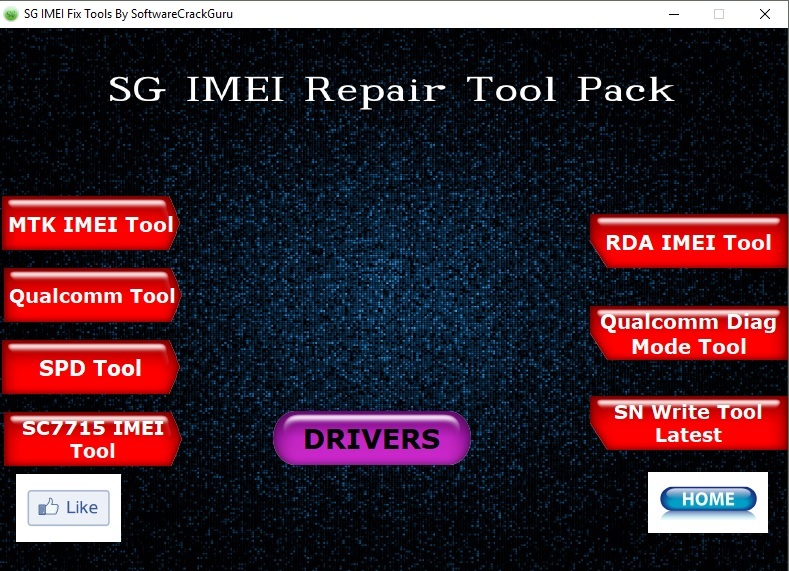 SG IMEI Fix Tools is a small application for windows computer which comes with various IMEI tools including MTK IMEI Tool, Qualcomm IMEI Tool, Spreadtrum IMEI Tool, SC7715 IMEI Tool, RDA IMEI Tool, Qualcomm Diag Mode Tool, SN Write Tool. It comes as a portable application which means you dont have to install it on your computer to use it. Simply, Download and Extract the Tool on your computer and you are ready to use it. MTK IMEI Tool is a small tool that allows you to write IMEI on any Mediatek Device in few clicks only. Simply, connect your device to the computer and launch the IMEI Tool. In the tool area, enter the IMEI number in the IMEI box and Click on Write IMEI button to Flash the IMEI on your Mediatek Device. It is a small portable application, which doesnt need to be installed on the computer before using. Simply Launch the application, and enter the IMEI and you are ready to Write it on your Qualcomm Device. It can be used on Qualcomm Based Android Smartphone and Tablets. It supports Qualcomm MSM8916, MSM8909, MSM8939, MSM8209, MSM8592 platforms to write IMEI, MEID or ESN, Bluetooth Address and WLAN Address. It also allows you to write IMEI on the Qualcomm devices having Dual SIM. In which Write IMEI1 is used to write IMEI on main card and Write IMEI2 is used to write IMEI on sub card. It allows you to write IMEI MEID or ESN on the Qualcomm device. This function only works when your device is having the CDMA function, and if your device isnt having the CDMA function then it should not be selected. It allows you to flash IMEI on Spreadtrum based device in few clicks (always flash the same IMEI which comes with the device). It allows you to flash multiple IMEI to the device in single click. Simply Add the IMEI in the input area and select the mode and click on write to begin. It allows you to write IMEI through two modes i.e Normal Mode and Calibration Mode. In the normal mode your device should be On before connecting the device to the computer and in the Calibration Mode you dont have to press the power key, if you are using the usb cable. You can also flash IMEI of your choice on your device (caution: flashing IMEI different than the original is illegal, and may cause trouble for you, so beware). It allows you to flash single or multiple IMEI (supports IMEI upto 4) on Mediatek Smartphone and tablets. It allows users to flash various options apart of flashing the IMEI only. It supports Barcode, BT Address, Wifi Address, Wifi EPPCopy, Mac Address, DRMkey MCID. It allows users to flash or remove the IMEI lock option in the Mediatek Smartphone and tablets. It supports Multiple MediaTek Devices like Feature Phone, Smartphone, SP DualModem, Tablet (Wifi only), Rndis Dongle. To use SP Write Tool you need to have the database file of the same device on which you are going to flash the IMEI. Database files come along the stock firmware of every device. [*] Credits: SG IMEI Fix Tool is created and distributed by Software Guru Team (developer). So, full credits goes to Software Guru Team (developer) for sharing the tool for free.